For the second year already within the frames of partnership of the Armenian EyeCare Project (AECP) and “Ucom” Foundation, the population of all the regions of Armenia receive free eye care services. Currently the program is underway in Shirak region. In-depth examinations, laser treatments and surgeries continue to be performed in the Mobile Eye Hospital now parked in Artik, and eye screenings and public classes on eye care are held in regional schools. In order to familiarize themselves with the current works, Roger Ohanesian, the Founder-President of AECP, AECP Country Director Nune Yeghiazaryan, Hayk Yesayan, Director General at Ucom and Narine Suvaryan, Director at “Ucom” Foundation, paid a visit to Shirak region. “Within the frames of the program this year we’ve focused on diabetic patients. In each region we urge them to undergo eye screenings, as there is high risk of diabetic retinopathy among such patients. 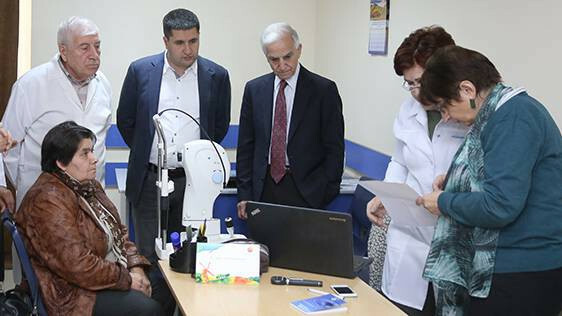 We’ve brought special equipment to Armenia, which will be used to carry out eye screening of all diabetic patients. 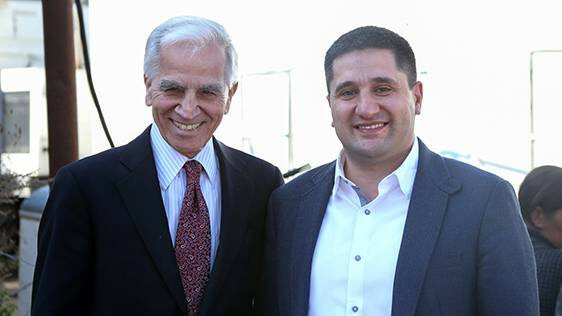 First equipment are in Gyumri,” said Roger Ohanesian, the Founder-President of AECP. «Within the frames of the “Bringing Sight to Armenian Eyes” program, implemented in partnership with “Ucom” Foundation, already more than 4.600 people have undergone eye screenings and about 2200 - in-depth examinations, about 750 surgeries and 280 laser treatments have been performed in the Mobile Eye Hospital in Kotayk and Gegharkunik regions throughout 2017. I’m glad about this ongoing cooperation, thanks to which we bring sight to the eyes of our disadvantaged fellow nationals,” said AECP Country Director Nune Yeghiazaryan. “In the course of implementation of this program in different regions of Armenia, we’ve always been inspired by the words of gratitude of thousands of our fellow nationals. 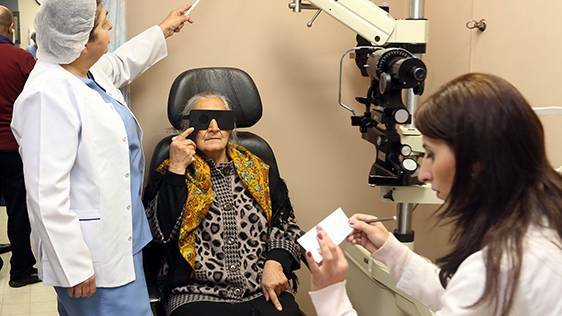 As a partner of the program, Ucom highly emphasizes the importance of access of disadvantaged population to free eye care services to regain eyesight,” said Hayk Yesayan, Director General at Ucom. With the visit to Gyumri the week of the events, dedicated to the World Sight Day, came to its end. During this one-week period the AECP organized a public awareness event, during which the participants were provided with information leaflets on the most common eye diseases, as well as special eye-glasses imitating the symptoms of such diseases, which the participants had to wear for a while and walk a small distance. The participants also answered questions about eyesight and had the chance to taste dishes made of foods good for eyesight. Eye screenings, as well as public classes on eye care to familiarize children with the rules of eye care, were held in a number of regional schools. Within the frames of the program implemented jointly with “Ucom” Foundation, a children’s book titled “The Vision Game of Desunik”, authored by the AECP and approved by the Ministry of Education and Science of the RA as a training manual, was distributed in regional schools and later on will be distributed in other schools of the RA.